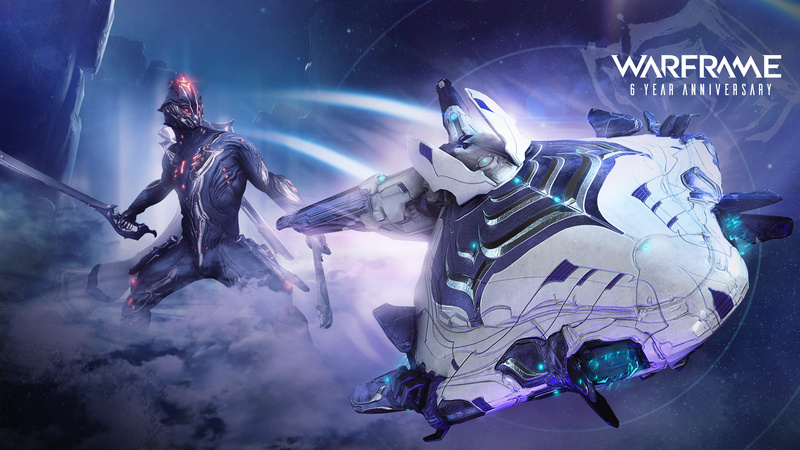 Today is Warframe's sixth anniversary and, to celebrate, Canadian developer and publisher Digital Extremes has revealed that it will be gifting players with free rewards this Wednesday. The freebies will include a brand new exclusive Liset (landing craft) Skin, last year’s Dex Excalibur skin, and all of the game's previous anniversary gifts. The freebies are also acting as a way for the team to say thank you to its players; the anniversary comes alongside the news that Warframe has now reached almost 50 million registered users. "The year 2018 was explosive for Warframe. Digital Extremes’ flagship title saw unprecedented growth as players dug into 111 hotfixes and 26 updates, played Warframe for the first time on Nintendo Switch, and tuned into TennoLive and our Devstreams in record numbers. As a result, Warframe grew from 38 million registered online users in March 2018 to nearly 50 million in March 2019, its largest yearly registered user growth yet. In addition to record breaking signups, Warframe also reached new peaks for daily active users (DAU) and monthly active users (MAU) in 2018. TennoLive 2018, Warframe’s annual keynote at its fan convention TennoCon, grew from 16,000 views in 2017 to 413,000 in 2018, a 2,481.25% increase, making Warframe the 14th highest concurrently viewed game on Twitch in 2018." This year has already seen two major updates for the game, and "many more" are currently in the works. The team is currently working on the 'Plains of Eidolon Remaster' and 'Gas City Remaster' updates - two gameplay and graphical overhauls that are set to renew both areas - and other game-changing updates like 'The New War' and 'Railjack'. Do you play Warframe on Nintendo Switch? How have you been enjoying the game so far? Let us know in the comments. Lol I still don't know how to get new Warframes past the opening one. I was saying "Sixth anniversary? I thought Wargroove just released recently"
I should pick this up again. I played around a bit in the beginning on Switch, but I just haven't had a lot of time to get into something so involved. I did enjoy the little time I had with it, so I'd like to go back and play again. This game is one of the best games out there and THE best F2P game, F2P done right. I don't even like sci-fi games much but keep playing it after trying out. Lol. Also, it feels more Star Wars/Star Trek like than Star Wars movies now. I just downloaded this on Friday to try out, I was planning on finishing some other games over the weekend too. This game was so good I ended up playing it for 5 hours straight instead and now I'm hooked. It's like Halo 1 but with space ninjas, the mission variety is great and it looks and plays well in handheld and docked. @MagnaRoader just keep playing, you must not have gotten too far yet. If you haven't tried it, this game is worth your time. It's free to play but you can actually progress fully experience it by playing well and grinding. @MagnaRoader basically, find/buy blueprints for separate components, find/buy the blueprint for the frame itself. Collect enough required materials for the components, craft them and then use them as crafting components for the frame. In reality, the materials in question include a lot of stuff you won't start getting in serious quantities until several planets into the system. And many frames (and, if I'm not mistaken, even weapons) need a certain mastery rank before you can craft/use them. Take things in stride. I, for one, just maxed out my Mag and put a reactor on it, and it has been serving me for over 100 hours already. @MagnaRoader Just like @nhSnork said. Some bosses drop blueprints for warframes, too. You'll need 4 blueprints per Warframe, usually farmable from bosses. Prime frames are farmable from relics ( but some are available only in seasons, for example, Frost prime, Ember prime and Oberon prime will be replaced next week). After you get the blueprints you need to craft them and an open Warframe slot ( you can get 1 slot as a reward from the nightwave missions and the rest can be bought with Platinum from the in-game market). You can get Platinum by selling mods or blueprints to other players or spending real money on the game. In general, search on the internet what you need to know ( seriously you'll need the help), just try to avoid spoilers. Also, Luktorce is a nice YouTube channel to be up to date. @CR0J0 How big is the download? And is the game noon friendly? @janpampoen it's about 17 or 18 GB if I remember correctly. I had to archive a couple games to free up some space but I'm really happy I did. I would have to say I am a noob, because I rarely play shooters, not since Halo in the 360 days when it was all about that local multiplayer. I usually play a lot of platformers and JRPGs, but this game just really nails movement and being able to use all of your weapons and abilities in a way that feels good to control. For example, my favorite thing to do so far is run into an area, slide on my knees while I throw kunai and then as I come out of the slide I switch into melee combos with my bo staff, if I see someone in the distance I can switch to my bow and do some sharpshooting. Lots of options and it just feels good to play. @Kalmaro yeah I really didn't. @nhSnork wow thanks for the info! Seems like to get new frames you have to grind a bunch huh? @RandomLeo00 man thanks a bunch! Honestly it sounds like a lot of work for a single frame, I assumed you just beat a boss somewhere down the line and you get a frame but the randomness of blueprints sounds off-putting. I'll give it a go (I'm still in the beginning) with your advice tho! I just wish we could have one universal account. I have a few prime frames on my PS4 account but the Switch version has taken over. Being able to play it with my daughter while the wife watches t.v. is great. This had been the biggest surprise for me in the Switch! Truly great. There is an enormous amount of depth. Don't get overwhelmed. Just focus on one thing at a time, and you will have a blast. I downloaded Warframe as soon as it launched on Nintendo Switch and at first it was confusing and I got a little overwhelmed but the game is so great I decided I would relax and just have fun with it . So glad I did, now I play it everyday have started building my Dojo and love every second of it . 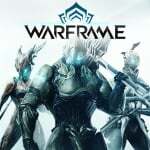 Warframe is absolutely one of the best titles on Switch I play it more than any other game currently I highly recommend it to anyone on the fence and suggest that anyone who gets stuck or confused just Google the Wiki it's full of great advice and info as well the online community for Warframe has been more than welcoming. @CR0J0 Bloody hell, that will take forever! It looks rad though. Is there like a discernible story? @janpampoen definitely one of the best stories ever in a video game. Just by playing the game you'll kinda see what's going on and what the heck it all means, but if you ever try to fill in the holes with all the lore your mind will definitely be blown. I have a basic grasp of the story so far, but I can tell it's BIG and you could spend dozens of hours just digging through the lore of it all. I've got 200 hours playtime. I think it's safe to say I'm enjoying it. @MagnaRoader the earliest ones you can farm is from the bosses on Fossa - Venus and War - Mars. After you get the chassi, neuroptics and systems you forge those those three parts then buy the blueprint in the Market for credits. Just go the Warframe in the market then press R to buy the blueprint. The most easy frame to get besides ones like Limbo (quest) is Oberon. Doing void runs the corrupted enemies drop everything, even his blueprint. Don't worry too much about getting frames right away though. You can increase your mastery plenty by leveling weapons. Also a mistake I made early was that I thought only so many weapons could be bought with credits and the rest you had to find the blueprints or buy with platinum. If you hit r I think you can buy the blueprints for most weapons and a lot of stuff in the market. Yeh looking forward to some free fashion stuff. ....Eh, might try this out at some point. It's free, so why not?